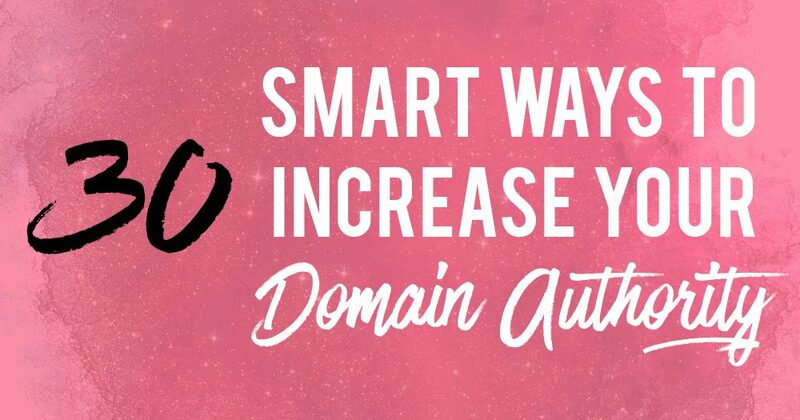 Want to increase your website’s domain authority? Increasing your domain authority is much like trying to increase your SEO ranking – it takes time. This is a game that you play for years and years. A website’s domain authority score gives you an estimate of how well your website will rank on search engines. Today, I will cover 30 of the best strategies you can implement to increase your website’s domain authority as quickly as possible. Let’s get to the post! While Moz takes into account a wide variety of factors to calculate your final domain authority score, the 2 main factors that contribute to a better score is the quantity and quality of your incoming links from other websites. Guest posting is a great way to get more links from good quality sites. Most guest posts allow you to link to your website, which will boost your domain-wide SEO authority. 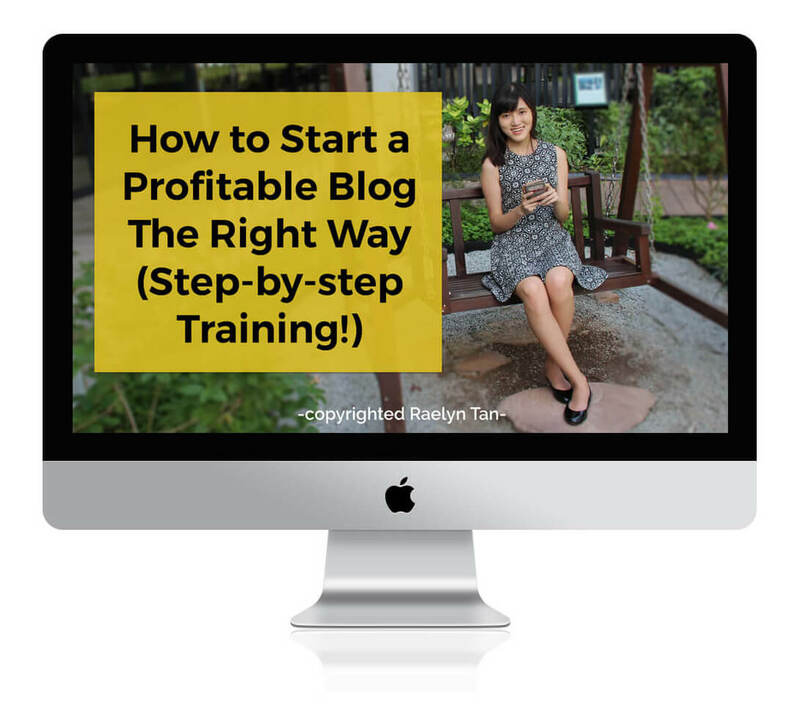 When I first started out with this blog, I wrote a bunch of guest posts to get my name out there and to build initial traction for my blog. Whichever website with a good domain authority score that I could get on, I guest posted there! I was not picky, I did as many guests posts as I could. You need a sound guest posting strategy to strategically and methodically reach out and guest post on multiple quality sites without getting disorganized. I don’t know about you, but I really dislike visiting slow sites. If a website does not load within 5 seconds, I’m out of there. Google penalizes slow sites, which will throttle your SEO rankings no matter how good your content is. Nobody wants to stay on a website that lags, right? Increase your site speed to reduce your bounce rate, get more followers, and boost your SEO rankings. Swap links with other authoritative, quality bloggers in your niche. Of course, receiving a one-way link is much better than exchanging links. Frequency: Only swap links occasionally. Think about what a natural linking pattern of a website is. You will likely make a few friends and link to each other on your journey online, this is only natural. However, if you exchange links too frequently, this becomes link spam in Google’s eyes. I almost never deny an interview request, no matter how small the other blog is. I believe in giving back, and I believe in getting my brand out there. You should too! Get interviewed by as many people as possible! Reach out to as many podcast hosts and interviewers as you can reach out to! You will usually get a link on the interview page, which will increase your domain authority AND get you more traffic. If you don’t have a sitemap, you need to install one for your blog. A sitemap on your website will make it easier for Google to find and index all your content. There is no escaping this – you need to write amazing articles if you want your website to rank well on search engines. More specifically, you need to write link-worthy content. From what I have observed over the years, this doesn’t mean being perfectionistic with your writing and scrutinizing every word for grammar errors. Rather, it is about providing a huge amount of value and transformation to your readers that they CANNOT HELP but share your content. My most popular articles aren’t perfect but they are extremely helpful. People link to amazing content! We all want to recommend great stuff to our readers. If your blog posts are mediocre, nobody will link to your articles, and your domain authority score will not improve. I remember when I made my first infographic, they sure took a lot of work! But I stuck to my guns because I thought that they allowed for my blog post content to be presented in a pretty and organized manner. Create infographics if you can for your blog posts. People love including and linking to infographics in their articles. This is especially so if your infographic is professionally designed and provides useful information for your readers. I have a couple of infographics on my blog that have given me a large number of links to my site. They were worth every second of my life to create! Admittedly, I have been slacking off a little with this. Write more quality posts to increase your chances of getting more content ranked and being linked to. Quantity isn’t everything, but it certainly helps. I try to write at least twice a week if I can. People love linking to definitive guides because it promises a ton of value to its readers. If something is truly a “definitive guide”, you expect it to be amazing. Writing great definitive guides will increase your domain authority score because people can’t help but mention, share, and link to such great content. I really think that this links back to being empathetic. I want to only write content that my readers will care about. You should too! When you write blog posts, make sure you write about popular topics that people actually search for. This will dramatically increase the chances of your content being linked to, simply because you are not wasting any time generating “noise” articles online that take up space but receive no attention. Optimize your blog posts for SEO. This will allow Google to understand what your blog post is about so that your content gets found. I receive a ton of requests every day asking me to check out their articles, and I do link to some articles if I find them useful. I linked to more in the past. However, I know that they work especially when you ask smaller tier bloggers. Sometimes you just have to ask if you want to receive. If you have an amazing article that you have written that just needs a little publicity to take off, you can use an outreach tool like Ninja Outreach to reach influencers and ask them to check out your article. This only works if your article is absolutely amazing because these influencers will not know about your existence. Your article will have to impress them significantly to be mentioned. Pinterest was an invaluable asset to my business – this was especially so when I first started out. Pinterest is a great way to get your content found by more people. If you are not on Pinterest yet, you need to get onto Pinterest. Having a smart Pinterest strategy will get you more traffic and leads onto your website, who will then be more likely to share your content out. As we have discovered in my article on how long a blog post should be, long articles have a greater tendency to be ranked better on Google, simply because longer articles usually provide more valuable information. Most of my articles are at least 1,000 words long because I only want to write the very best articles. Plus, Google will be more likely to understand what your article is about and rank it for the appropriate keywords. If you want to stand out online, you need to be polarizing. If your blog is just another “me too” blog, nobody will really care about what you have to say. The best way to make a splash online? Get controversial. Make a strong stand. Draw a line in the sand. This will, of course, carry some risk and will require you to be thick-skinned because you will almost definitely get negative comments for being different. If you stick to your guns, you will get your own tribe of people who agree with you. These people will engage, share, and link to your content. I will always remember how Derek Halpern coined the term “Feature Boxes”, or when Brian Dean coined the term, “Skyscraper Pages”… these became concepts that were repeated again and again. Needless to say, they receive links again and again when people talk about the concepts they coined. People want to give credit, it gives the idea more validity! The bottom line: When you kickstart a new concept that changes the game in your industry, AND people start using it, they will give you credit for it. Bloggers are always looking for statistics and research to back up what they say on their blog posts. If you are able to generate statistics on your blog posts (e.g. through surveying your audience, running a poll among influencers in your industry) that provide value to a topic in your niche, you are a lot more likely to get linked to! This will allow Google to find and index all your content efficiently. It will also increase reader engagement and allows you to provide a better experience on your blog. You want to generate a good link profile on your website. This goes both ways: Remove any bad links on your website to low-quality blogs, and disavow any incoming links from low-quality sites. If you have not made your website mobile-responsive yet, you need to! Google does not like websites that are not mobile-optimized. You can check if your website is mobile-optimized using Google’s mobile-friendly test. As you may have noticed, I create a horizontal image for each blog post for Facebook and Twitter. This will encourage people to share my post on Facebook and subsequently get more traffic to my website. When more people visit your website, some will inevitably link to your content, thereby increasing your domain authority score. Round-ups are an amazing way to garner links from others! Link to multiple bloggers on your article and tell them that you did! People love articles that feature them and they will likely share and even link to your round-up, which increases your domain authority. Write a testimonial for someone! This could be the courses you took and enjoyed, the influencers you respect, the tools that you used and liked… etc. When someone has a testimonial, there is a high chance that they would publish it on their website, giving you more SEO juice and increasing your domain authority. Make friends with other bloggers! I love making new blogger friends. 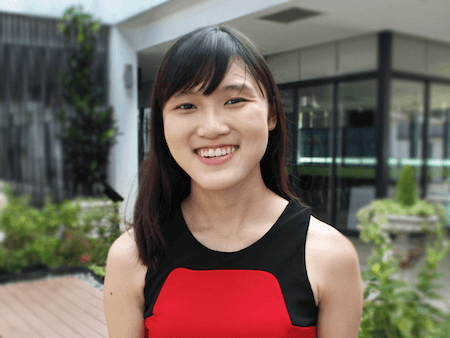 In general, bloggers are really amazing people! Bloggers and writers are always looking for high-quality sites to link to. When you make genuine friendships and seek to give more than you receive, people remember you. When they need an expert to interview, a relevant blog article to link to, or want someone to include in their round-up, they will think about you! Host a summit and get people to talk about your event on their blog and recommend it to their friends! You can also organize a live event and get your attendees to talk about your event before, during, and after the event. Host a giveaway to create more hype around your brand and grow your audience. Giveaways are great because they have a viral component to them and when done well, giveaways get shared again and again! Create a great brand that is link-worthy. You don’t want an amateur brand, you want something that will stand out from the gazillion other blogs out there. You want something that people will feel proud recommending to their friends, family, and readers. Create a jaw-dropping freebie that people will share with their friends without you even asking. That is when you know what you have created an amazing lead magnet. The biggest factor that will determine if you will succeed in creating and maintaining a website with a strong domain authority… is you! Keep your mindset optimistic, and be prepared to be in this game for the long haul. Be patient, keep working on your website’s SEO, create great content, and your website will gain authority. I hope that this article has been helpful to you! Please share this out if you enjoyed it. « What is Domain Authority And How Do You Check What Yours Is?